Total Score: 8.25 + INNOVATION AWARD! 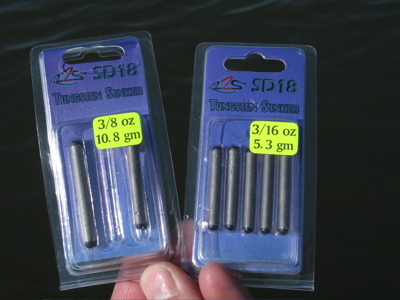 Introduction: As environmental concerns grow and the awareness regarding the toxicity of lead increases, more and more anglers are turning towards Tungsten as their material of choice for weighted applications. 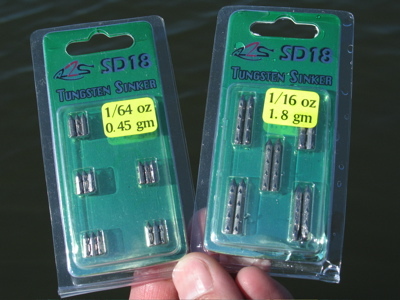 What's more, Tungsten, having a higher density than lead, gives anglers the opportunity to use a smaller bodied weight than they might otherwise use. 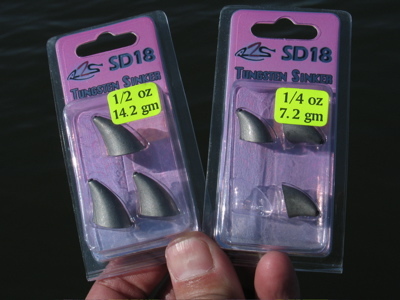 River2Sea is a company at the forefront of providing Tungsten weighted lures. This year, they debuted an entire array of Tungsten based weights. We take a look at one of the more intriguing offerings in their lineup, the River2Sea Tungsten Tumbler. Impressions: River2Sea has been at the forefront in the production of Tungsten weighted lures. The transition into providing Tungsten based weights, then, seems like a natural progression in their product offering. While they do offer an entire array of products in this category (we'll discuss these later), the one we found most intriguing was their Tungsten Tumbler line of bullet weights. 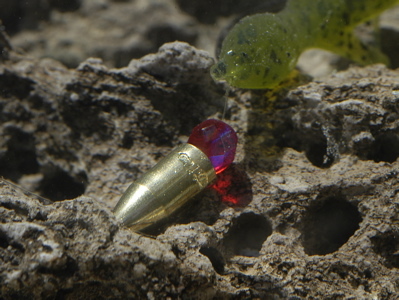 These unique little bullet weights feature a shape that's more of a horn than a traditional bullet. This bend, in theory, creates a keel effect enabling these weighs to crawl up and over obstructions to more easily avoid snags and afford the angler more productive fishing time. 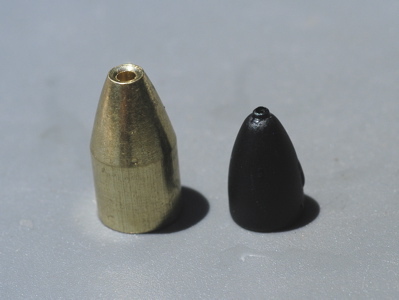 On the left is a 1/4 oz brass bullet weight. 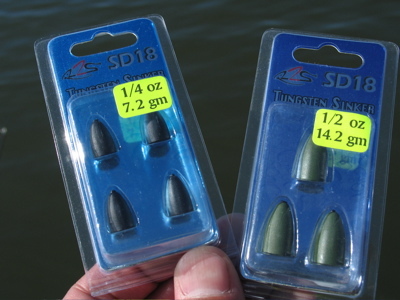 On the right is a River2Sea Tungsten bullet weight of the same weight. Note the significant difference in size! 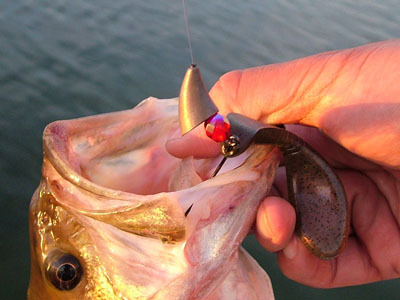 The Field Tests: We fish weighted Texas style rigs on any number of setups. For this trial, our primary combo was a G.Loomis BCR803 GLX rod paired with a Shimano Conquest 51 reel spooled with Sunline's Shooter FC in 14lb test. Effectiveness: When it comes down to it, there's really not much to a bullet weight, is there? I mean, really, it's a weight, with a pointed head, to help penetrate cover when you're pitching and casting. 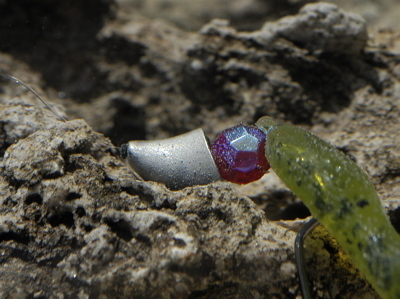 Add a glass bead between the hook and the weight and you have a noise maker and something that will hopefully add a little color and flash to your offering. 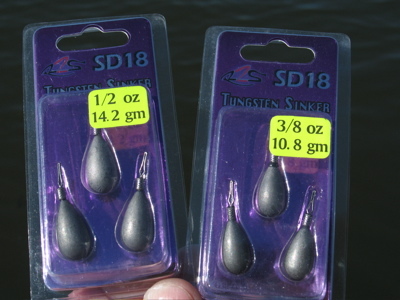 Tungsten weights, in general, accentuate the noise making character of a glass bead because they are so dense, but they also, reportedly, contribute to cracked beads which can in turn cut your line and cost you fish. River2Sea mitigates this effect by providing a nylon sleeve to help cushion the blow between the weight and glass bead and also, protect the line from any possible sharp edges within the weight itself. 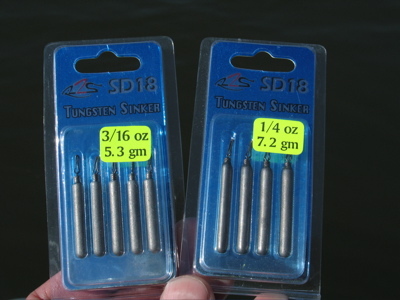 I was always skeptical of this approach figuring a nylon sleeve would then, neutralize the sound making advantages of Tungsten, but listening over the edge of the boat while clacking the bead and weight together, under about a foot or so of water, relieved my skepticism. I could still hear the sounds this setup made. Weedlessness: The horn-shape of the River2Sea tumbler is very effective in rocky environments. 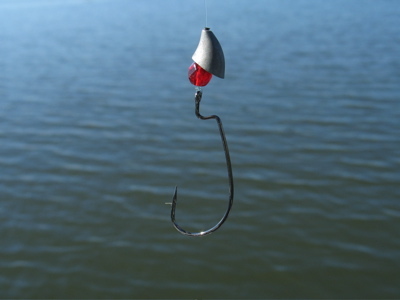 The fat part of the weight acts like a keel as it comes through the water in a way as to ensure the tip of the weight is almost always in position to pull your rig up and over any obstacle you may encounter. We were still able to find snags with this setup, so nothing is foolproof, but it was certainly much easier dragging this combo across the bottom without getting hung. Thanks to the density of the Tungsten material, we did not lose any bit of sensitivity in feeling our way through the bottom either. Durability: The great thing about Tungsten, being so dense, is that products made of this material are not subject to dents, dings, or other deformities normally associated with lead weights. The downside of the River2Sea Tumbler, in particular, is the integrity of the nylon inserts. It appears they are held in place by a dab of glue. Whatever the case may be, the inserts are prone to popping out. We discovered this after opening our utility box, where our tumblers were stored, and seeing a bunch of the inserts laying around on the bottom of the compartment within which, our weights were stowed. 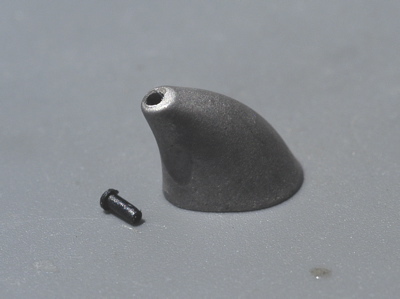 Not really related to the Tumbler, but showcasing R2S innovation, here's a shot of the River2Sea Tungsten drop shot weight and a stowing tip: When not in use, try sliding the eye of the weight over the hook, and then running the hook through the normal hangar on your rod. 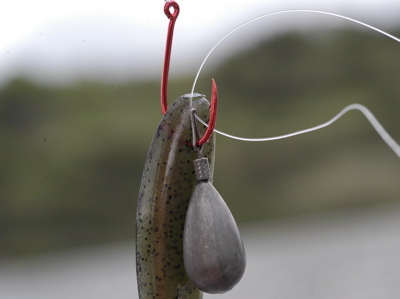 This can save the frustration of tangled drop shot rigs during storage. Other Products: Along with the Tumbler, River2Sea now offers an array of standard weights all made from Tungsten. 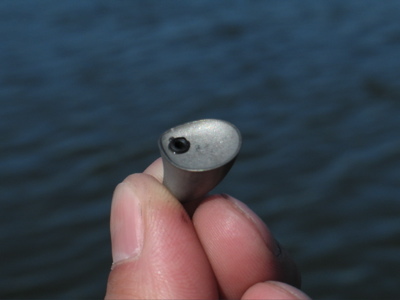 These include standard bullet style, drop shot, slip shot, and nail sinkers. 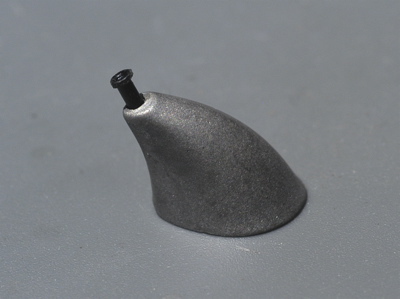 We're hoping and anticipating the release of some jig and shaky head offerings as thoughtfully designed as the Tungsten Tumbler. Price & Availability: Still relatively new to the scene, you'll have to do some searching to find these products for purchase. As with all tungsten weights, while the environmental pluses are there, the cost to be conscientious is a little high running close to a dollar or more per weight. 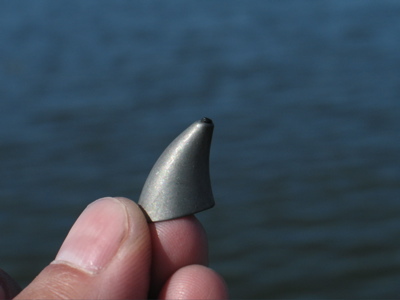 The River2Sea Tungsten Tumbler helps relieve you of the concern regarding potential hangups so you can concentrate more on detecting strikes from fish like this! Conclusion: As you may or may not have discerned by now, this was a fairly difficult review to really sink our teeth into. Terminal tackle is a funny beast. While every bit as important, and maybe even, in some cases, more important than any other part of your setup, it is certainly the least exciting, and often times, most neglected part of an angler's arsenal. Tie it on and forget it - that's the confidence any good piece of terminal tackle inspires. The River2Sea Tungsten Tumbler has the potential to be one of your least thought about pieces of terminal tackle because it is very confidence inspiring. These weights allow you to turn your attention away from potential snags and hang-ups and to the task at hand of working your bait along the bottom and triggering strikes! The keel effect resulting from the weight's shape is such an obvious benefit, we have to wonder why this hasn't been brought to market sooner. Then again, with most good designs, the end result is often one that seems so obvious. So obvious was this to us, that we award River2Sea our TackleTour Innovation Award for a nice, clean, simple and effective execution of their Tungsten Tumbler sinker.